The signs were omnipresent throughout the campaign trail and in the early days of the new presidency. Photographed numerous times accompanying her father on meetings with business leaders and foreign representatives, Ivanka Trump’s role was left open to interpretation. Yet, the American public knew all too well that it was only a matter of time before the first daughter secured a more permanent position in the White House as special assistant to the president, albeit unpaid. Before accepting her new appointment, Ms. Trump served as an informal adviser to the president. 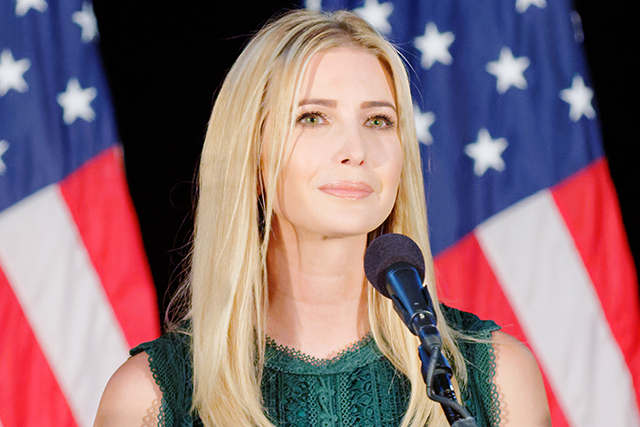 This unprecedented role for a first daughter was subject to much criticism, as political pundits raised concerns that her informal status would enable her to evade specific ethical rules that are imposed on government officials. In a statement issued by the White House on March 29, Ms. Trump addressed how her federal employee status will ensure that she abides by all rules and avoids conflicts of interest. 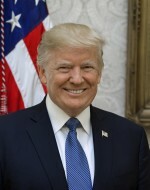 “I have heard the concerns some have with my advising the president in my personal capacity while voluntarily complying with all ethics rules and I will instead serve as an unpaid employee in the White House Office, subject to all of the same rules as other federal employees,” said Ms. Trump in her statement. Reactions across the nation have been just as dichotomous as they have been since Election Day. Some Americans are hopeful that Ivanka's presence in the White House will positively influence the president’s actions. “If being complicit is wanting to be a force for good and to make a positive impact then I’m complicit,” said Ms. Trump in an interview with “CBS This Morning” co-host Gayle King. This appointment, however, is the latest stunt in the legacy of the Trump presidency. It’s an impractical move that can only lead to more controversy, shifting the conversation away from issues that actually matter. Cozying up to her office in the West Wing, Ms. Trump’s advancement is a matter of nepotism. Defined as the practice among those with power or influence of favoring relatives or friends, nepotism is a violation of federal law. The 1967 law states that any appointee in violation of the regulation is “not entitled to pay,” which creates an ideal opportunity for both Trump and her husband Jared Kushner to serve the administration on a voluntary basis. Even though Ms. Trump is not “officially” breaking federal law, her employment status sets a precedent for future first children of the United States. How involved should the first family be in American politics? Are the American people electing just the president or his entire family? It’s not uncommon for the members of the first family, particularly the first lady, to dedicate their time in the White House to certain causes. For example, former First Lady Michelle Obama launched the Let’s Move movement to challenge childhood obesity. The children of the president, however, have stayed out of the political arena. While Ms. Trump could demonstrate how women are just as capable as men are when it comes to politics, her path to her post belittles any significance of her position. Inexperience appears to be the secret behind the Trump family’s rise to power. Like her father, Trump has no prior experience in politics, which begs the question as to how a 35-year-old is expected to advise the president of the free world on a wide range of issues. As more unqualified personnel are appointed to top positions in the federal government, the American nation is at a greater risk of economic and political instability that will require several years to reverse.